As leaves slowly begin to change color and cooler temperatures start to settle in, it will become clear in the next few weeks that fall isn’t far off. And when that happens, we also know that winter isn’t far behind – and that means it’s time to start thinking about putting all of our various outdoor spaces to bed for the season. Yard equipment and plants have certain needs for maintenance and upkeep – and although it’s not alive or moving, so does your deck. Getting your deck through a long, cold winter without damage is quite an achievement. And with these tips for preparing your deck for the change in seasons, you’ll be ready for success! 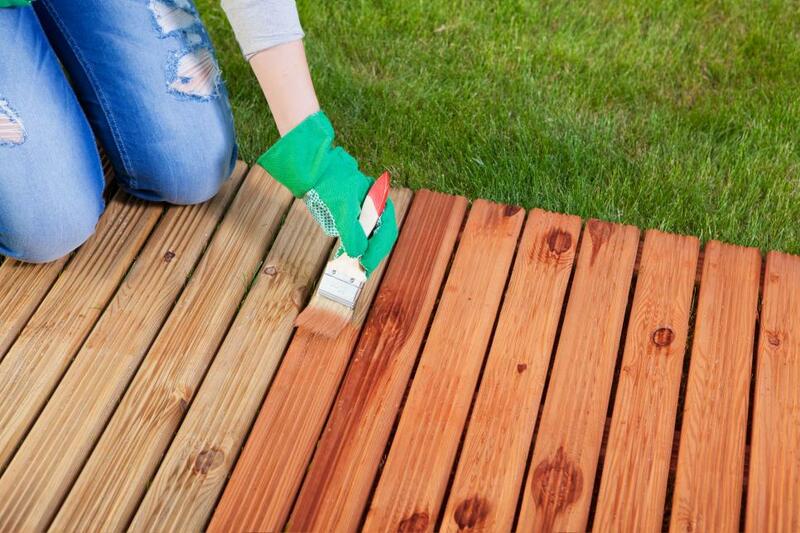 First things first, the number one thing you need to do to prepare your deck for the colder months is inspect it. A quick walkaround will typically reveal any glaring issues – holes caused by pests or vermin, damage from storms, and any fading or overly worn sections that may need special attention. But beyond the basic inspection, it’s important to take advantage of good weather and be a little more thorough. If your deck is raised, don’t be afraid to hop underneath it with a flashlight and inspect the posts and rails that securely hold the surface boards in place. Any evidence of damage here, whether it’s from bugs/animals or weather, should catch your eye and will definitely need attention sooner rather than later. Once you’ve completed your inspection, make sure you have a list of any hot topics that need to be addressed and get ready to tackle them! Based on your thorough visual inspection of the deck, repairs will be determined as needed. If you need to replace a railing or floorboard, look at it as an opportunity to correct a problem before it becomes more serious. Don’t worry about those worn spots yet – we’ll take care of those a little further down the line. At this point, you should focus on correcting any major issues and making sure everything is securely where it’s supposed to be. No matter what, it’s critical to clean up your deck before winter strikes. Removing pollen, dirt, and debris will go a long way to ensuring that your deck’s protective coat of stain or finish can do the best job possible at weatherproofing the surface. Ensuring that your deck is clean will also allow you to continue using it on warm days throughout the fall, so give yourself a pat on the back for the bonus of having a beautiful, clean outdoor space to enjoy. If your deck is painted without a clear coat of weatherproof sealer, you’ll definitely want to consider adding a topcoat to protect it from harsh winter conditions. In that case, adding a waterproof layer is a no brainer to help preserve your deck. But if your deck has already been stained and sealed, there’s some more thought that needs to go into what else is needed. 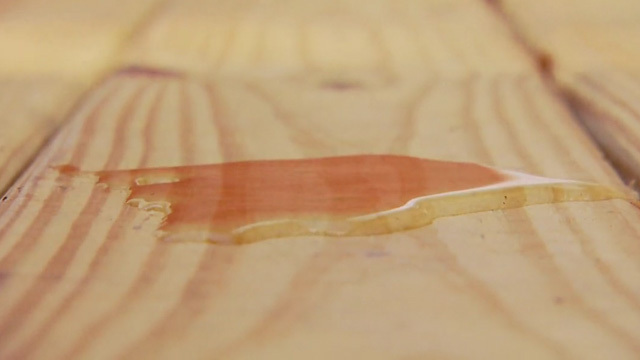 During your inspection, you should have noted whether the stain or finish was overly worn or faded in certain places. You also want to keep an eye out for areas where the finish might not have been applied evenly, and may have built up while drying. Depending on how many of these spots are present, it may be worth considering a reapplication – which may require you to strip the existing finish and start from scratch. While this process can be a bit labor intensive, it’s definitely worth it for the protection it will afford your deck in the long run. This entry was posted on Tuesday, August 22nd, 2017	at 1:59 pm	. Both comments and pings are currently closed.